Not quite as good as Unimplied, but not bad for Powerpoint. As Pokémon trainers all over the world know, this year is an important milestone for the beloved franchise. As much as I would like to mark the occasion by revealing the first monsters of Generation VII beyond Magearna, I can’t, owing to not being Satoshi Tajiri nor Ken Sugimori. Pokémon has been an intrinsic part of my development, however, and I thought I would commemorate the 20th Anniversary by sharing how the Pokémon has helped me rise above my disability. My choices: Charmander, Cyndaquil, Torchic, Chimchar, Oshawatt, Froakie. In both of the first Mystery Dungeons I was a Charmander and my partner was Totodile. I’m a creature of habit. I adore Pokémon, as I am sure do many people. With millions of main game iterations, spinoffs, anime DVDs and merchandise being sold annually since 1996, it would be impossible for there not to be at least a few people that hold Pokémon dear to them. 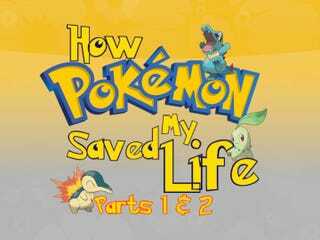 Yet I imagine that I am of a minority who can legitimately say that Pokémon helped save their lives. I was six when my parents bought me Pokémon Silver, along with my cherished translucent purple Gameboy Color, hoping that it would improve my pattern recognition and coordination. The game had just been released in Australia and the original anime dub was airing. I was already enthralled by the television series, and sensing opportunity, my parents bought the game; probably the one and only game that could have had as profound an influence as it did. Charizard regretted his decision to come back from Charicific Valley and share university housing with Ash. For any of this to have significance, I first must give some context, so please bear with me: I was born with Left-side Hemiplaegia, a type of Cerebral Palsy, thanks to an ill-timed case of measles while I was a foetus. Luckily, my mother contracted it early enough in my development such that my brain managed to function even with the damage to the cerebellum, and so the physical damage is quite mild. I know life could have been far harder, as it is indeed for some of my friends. That said, I am missing approximately a third of my brain’s right hemisphere and so there are some effects: my left leg is half an inch shorter than my right and my balance is minimal; my fine motor skills are impaired particularly when tired and so my grip dissipates quickly; my coordination can be poor and my muscles sometimes spasm, knocking over many an irreplaceable ornament over the years and dropping conical flasks in the lab; my feet pronate affecting my hips and make shoe-shopping a nightmare. Moreover, my pattern-recognition, sensation and depth perception are naturally flawed as secondary effects. These issues were particularly difficult to control when I was younger. Remember the blurb on the back of Pokémon Silver stating “basic reading ability required”? I barely even had that. Due to the aforementioned pattern recognition problems, I struggled to read and write at six. It was very frustrating. 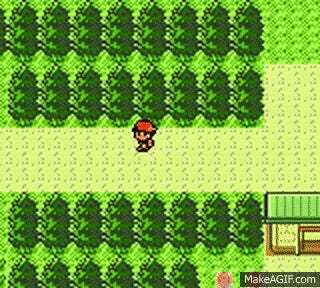 Enter Pokémon Silver stage left. My parents bought the game to improve my reading, and I took this to heart, obstinately refusing any help. This is from purely anecdotal evidence, but I believe there is a tendency for disabled people generally to fixate on things more than most people, with the dogged drive to solve or compensate for even the most minor of discrepancies between where they are and where they think they should be. This sort of faith in my abilities would be a boon were it coming from anyone but the man who can’t remember his own grandson’s name. Although I spent months stuck selecting starters (trying out all three), inadvertently collecting multiple eggs from Mr. Pokémon and battling wild Sentret as a consequence of not being able to read the word “save”, I am glad I did not give in. There was a certain sense of accomplishment when I finally could get past Cherrygrove City with my Cyndaquil named “HQ” and beat my Rival “????”. It was an auspicious (re)start to my Pokémon journey (yes, my reading comprehension and motion control were that terrible, but I am still fond of the name HQ). I remember feeling a familiar angst during that period, one that plagued me from not being able to walk properly, but I put up with it. There was a purpose to this. I was going to deliver that egg to Professor Elm. Except I didn’t know I had to deliver it. I recognised the capitalised ELM in the same way I saw MR. POKÉMON on the way there. That was the first benefit of Pokémon’s design: the repetition of emphasised names. Indeed, I’d like to point out how appropriate Pokémon names are for increasing word reading ability (in a very unscientific manner). As most people will know, the Anglicised names are generally portmanteaus, puns, and combinations of multiple, vaguely related words to create distinct proper nouns. In this sense, while the component words and phonetics are recognisable as English, the obscure combinations force one to observe and associate the letters far more acutely. Combined with the frequency of Pokémon encounter rates, over time, those letters are repeatedly viewed in order and have a visual association. I am very sure that this directly contributed towards my eventual reading ability. That said, I still named myself MAX, which the observant reader might realise is NOT REMOTELY MY NAME! That is until I got so angry at the Ice Path I restarted the game and renamed the character…after my brother. An accidental role-player I was. An additional aid—and the reason why Blue and Red might not have been nearly as effective—was the introduction of multiple colours in addition to the distinct designs. While I was still comprehending the exact words, I was quickly associating certain coloured monsters and moves with their strengths and weaknesses against other coloured monsters. Pokémon gameplay is incredibly deep, but even this basic expanded “rock-paper-scissors” improved my strategy and puzzle-solving no end. When I was much smaller, I hated doing puzzles because I struggled, but the tangible sense of victory for causing Pokémon to faint, defeating gym leaders, and earning badges, were undoubtedly incentives to persevere. This applies to the overworld as well, because the coloured distinctions between road, grass, mountain—and the generally obvious connections between routes—allowed for intuitive progression even in the absence of writing. It is superb game design. As a sidenote, I posit that the larger colour palette of the more modern games may have hindered this process, as the colour association worked largely due to the simplicity, which more colours could have obfuscated. In retrospect, I appreciate how so very perfect the already incredible Pokémon Silver and Gameboy were for accommodating all facets of my Cerebral Palsy. For example, the D-pad’s limited movement meant that I didn’t have to precisely press the direction I wanted to move in, unlike the finicky joysticks that still give me grief. Returning to battling, the RPG turn-based system allowed me to take my time to understand exactly what was happening. This, in tandem with the fact that the player has to engage the Pokémon by moving yourself rather than monsters attacking you (like in The Legend of Zelda or Super Mario for example) in the overworld, meant I was able to play at my own pace. Exploration is a key component of Pokémon, and the simple plotting (often communicated visually) allowed me to truly grasp the challenges set forth, and repeat them if necessary without harsh punishment. I was able to feel control and that I was not rushed. Hall of Famers: Typhlosion was at Lv. 81, I had tried to get an Umbreon, Delibird was my second best at Lv. 42, Sudowoodo was an HM Slave, Mareep was accidentally evolved twice, and Skarmory looked cool. Typhlosion did most of the work. I was lucky. For a lot of people with disabilities, time is an asset not always compatible with the rapid pace of the abled-bodied prescribed world. Particularly with children, a lot of patience and tolerance is required as we convey precisely, though multiple barriers, what we want to communicate. We can be just as effective as “regular” people, but possibly need a bit more time to work out an approach. Commonly, in a classroom, or playground, or any other environment really, people do not have the time to sit and wait for a child to repeat and restart a sentence until they say it perfectly. There are time constraints, other people to pay attention to, urgent life to get on with etc. Yet this can lower the self-esteem of children—or even adults—with disabilities, which in the long run can be even more detrimental than the disability itself. This is why, more than any other factor, I believe Pokémon is one of the best video game series around. The games give players time and are certainly the optimum choice for those struggling with disability. I mentioned the idea of fixation above. My parents parlayed this into encouraging reading through those Scholastic anime novelisations and the Pokémon Handbooks, and fortified mathematical development by buying the collection of Pokémon Math Challenge that came with removable cardboard “trading cards” with maths questions on the back. I became adept at maths pretty quickly and brought in my stash of cards for “Show and Tell” to a thoroughly unimpressed audience. Then I discovered the existence of the actual Trading Card Game. It was in this haze of boosted confidence that I met Courtney. As nice as children in the schoolyard can be, they can also be vindictive and adhere to a social hierarchy from the earliest of ages. Being slow at running, and as the one wearing the funny, large “UFO” on his leg (it’s called an AFO, and feels just as restrictive as those braces that Forrest Gump had), I was at the bottom of said school hierarchy for a good long while. Thus the day I met Courtney, a member of disability swimming squad I had recently joined, my life changed completely. I learnt years later that Courtney has a disability that affects her mental growth, but she was, from the second I met her, the most enthusiastic gamer I’ve ever known and has some of the most intuitive understanding of computers I’ve encountered. She also happens to be the foremost authority on Pokémon aside from perhaps Satoshi Tajiri and Junichi Masuda. We spent every swimming session talking across the lanes and kicking as slowly as possible during cooldowns to dissect the raid on Team Rocket in Mahogany Town. She was much further along than I, and so I listened in awe as she regaled me with the appearance of a real Dragon Tamer acting as a covert Team Rocket operative. I almost couldn’t believe it. So I was promptly invited over to have it proven to me. This is a fairly well-trodden thought, but I think the reason that people view Pokémon with such affection is not simply due to the perceived partnerships forged in the heat of battle, but the memories associated with the face to face sharing between friends. This intense social aspect heightened the game, and frankly, with advent of electronic communication and an increasing anti-spoiler culture driven by our ability to do these activities at leisure, that element has been diminished. Gaming is at once a more global and more insular experience and the lack of a direct oral forum is probably the main reason arenas like TAY and Kotaku have thrived. Yes we can find like-minded people easily online (thank Arceus), but StreetPass isn’t the same as having a group of mates round. So when people talk about the first or second generations of Pokemon being the best, I suspect it isn’t just the introduction of the basic mechanics or the ability to visit two regions, but the whole culture surrounding it, which I am sure will never really be replicated. Ruby and Sapphire were games that genuinely existed beyond my comprehension. Truthfully, back then I found Sapphire a poor substitute for Silver (conversely, I adore OmegaRuby), but that first morning flipping open my newly charged Cobalt Blue SP and seeing a world in full, glorious colour was the most startled I have ever been while gaming. I wandered around the minuscule Littleroot Town for about an hour. In the intervening years my little brother changed too: no longer content to simply watch me play and “help” him through pretty much every part of the game, he too got his own SP through a misguided deal with my parents (the very last time they underestimated his tenacity and determination) and soon we were battling each other wirelessly (!) in the Union Room,then via the DS, competing to complete Pokémon Ranger and so on. Even now, Pokémon is the tie that binds us; that and because I am incredibly awful at FIFA, every FPS ever, and racing. Once again Pokémon has taught me perseverance. I lost enough times to Drake to overcome anything. So my FIFA losing streak continues, and in a bit of a reversal, I get a kick out of just sitting and watching him play GTA. Pretty much my most anticipated game of 2016. I’m also looking forward to Super Mystery Dungeon, because Europe. I am unabashedly proud of the fact that both my brother and I can still do a duet for the entirety of every Pokémon anime dub song right up to the Diamond and Pearl arc, when the intros were cut even shorter and lost all of the aspiration and pathos that the original songs had (yes, I am saying that with all seriousness). Fellow aficionados will recognise the Pokémon Johto lyrics I have be using throughout. No doubt that they also have many of the game scores seared into memory. As the tribulations of life run their course, I’ve come to realise—in moments of escapist regression—the anthems of resilience and courage that these themes are, in addition to being incredibly catchy. For however unintentional it is, the arc of the perpetual loser, still-winning-gym-badges-by-the-skin-of-his-teeth Ash Ketchum is an oddly compelling one. Currently on a Bachelors Degree Quest, but I’m hopefully on my way to victory. Humans rarely achieve the superlative performances they want or are capable of on a daily basis, and that doubt is invariably the source of our diminished spirit, but there is Ash Ketchum continuing on, taking each loss in his stride, not having lost the trust of his companions, and not having lost faith in his dream. It is a reassuring image of attainable balance, a stable foundation to work from. That is the beauty of Pokémon. That is how Pokémon saves us. The daily grind will still be there tomorrow. We will still have that opportunity to train on. And maybe one day soon Ash Ketchum will win the League. And maybe one day soon we too will feel the elation of becoming Elite Four Champion for the first time once again. Until then, day to day, be the best that you can be. I used to dream of flying across the globe with my Charizard. Also, I didn’t like the Economy seats on Qantus. I ended my initial discussion with the deeply resonant character arc of Ash Ketchum, perennial loser. Truthfully though, as I suspect most of you unfortunately know, there is a divergence between Ash’s continually upbeat demeanour and the general mentality of somebody persistently facing failure. Indeed, as a disabled person, and even just as a person, I am intimately familiar with arduous mental trials, and physical stumbles (once down the stairs, multiple times on my bicycle), and metaphorical falls off of the precipice (I have been literally close to this a few times too). Triumph is as ephemeral as it is vindicating, but that residual sensation can spur us on to the next success, in tandem with that sneaking suspicion and hope—no matter how true or otherwise—that we can perhaps be the very best, like no one ever was. No, let me rephrase that. We may hope that there is some validity in the “power of one”. Once again, Ash Ketchum showed me the way. Pokémon 2000: The Power of One came out in Australia just after the Olympic Torch began making its way around the country in the lead up to the 2000 “Summer” Games. The exchange of the flame actually happened right outside my house, and I was lucky enough to hold the torch aloft for half of a second before it was passed on to the next ecstatic onlooker. So upon the film’s release, I was experiencing an invigorated faith in human capability (this would be somewhat mitigated in later years by the generally poor coverage of the Paralympics in relation to the Olympics, but that is a diatribe for another time and platform. That said, well done Channel 4 for 2012’s showing). Anyway, I was generally elated, and even more committed to besting my physical shortcomings. Sometimes throat lozenges don’t do the trick. Still, the frustrations of disability described in my first essay were present, and worse, because my Cerebral Palsy had not been diagnosed despite numerous trips to the doctors over the years thanks to concerned parents being certain something was not entirely right with the way I was walking and my propensity to never use my left hand. In the same vein, Pokémon Gold and Silver were yet to appear in the West for several months, and so children everywhere were trying to determine who this amazing white-winged beast engulfing the film poster was. Not since that unidentified shimmering-gold bird flew overhead in the first anime episode had Pokémon trainers been so perplexed (of course, the Japanese had never been in this predicament thanks to their subtitle being Revelation Lugia). Nevertheless (or maybe because of it), I was excited, and so when my classmate, Tim, offered to let me come to the cinema with a few other friends, I asked my mum, and then immediately accepted. Coincidentally, Tim might also have been the person who showed me how to save when he came over one time the following year, kickstarting my whole Pokémon adventure. Perhaps I should retitle this piece to An Ode to Tim, Saver and Saviour? I digress again. Seeing Pokémon 2000 in the cinema was thrilling: from the first appearance of the giant levitating fortress, to the ferocious battles between Articuno, Moltres and Zapdos for supremacy, to the heroic fourth-wall breaking turnaround of the beloved Team Rocket trio, the film was a treat. What struck me, however, was the overwhelmingly powerful moment in which all of Kanto’s Pokémon attempt to help Ash and unify under his leadership (this all was helpfully explained by Professor Oak and Lugia). It was a heartwarming and an inspirational moment for me. I recognise now that this is in fact a well-worn, unrealistic trope: we rarely manage to effect great change single-handedly, and it can lead to a greatly distorted self-importance to believe so, but the younger me was invested in this idea, perhaps partly because of the building guitar chords, but also because of the hope it provided for a person feeling limited by their body and desperately trying to find their place in the schoolyard, society, the world. I think it took on an even greater importance with subsequent viewings, particularly in the following year when I was finally diagnosed. It was partly a way of flipping that status of being a “special needs” person. I was special. I had the power of one. I previously talked extensively about how Pokémon helped my reading ability. Though I was illiterate, I was exposed to novels and stories from the earliest of ages thanks to the sheer amount of time my parents put in reading to me. I only alluded to the abnormal amount of effort and dedication my parents put into trying to ensure my Cerebral Palsy was not as debilitating as it could be. I feel obliged to expound upon it now, as although Pokémon was my gateway to a whole other way of life, it only worked as well as it did thanks to my mother, father and—later on—my brother putting in time. Right from the beginning, my mum noticed my legs weren’t unfurling as they should and so she spent time massaging, having me grab things, playing catch, tickling me, and reading. Reading and talking constantly to me. Every day, for hours and hours, throughout the day and well into the night. When my dad was able to be at home he did the same. All in the name of stimulation. I rarely slept and commandeered all of their time, asking them to build the bridges and T-shapes that I physically couldn’t move around and do myself. I was, as they put it, a “benign dictator”. They thought it was worth their time. Over the years, it transformed into ferrying me back and forth from school to the Cerebral Palsy Association Clinic to swimming to jiu-jitsu to tennis to rugby to surf life saving and back to swimming, each and every day. Dear Arceus. For children with Cerebral Palsy (and for other disabilities I imagine, but I obviously am no expert), the earlier treatment and stimulation the more effective it is. I wasn’t diagnosed for almost seven years, and as the doctor who finally did diagnose it said to my distraught mother, it was “chronically late”. Were it not for the inordinate amount of attention my parents gave me, I cannot fathom how bad I might have been. Actually, I do know. I’ve seen many, many examples of children who were diagnosed much later and the main solutions presented to them were botox, or having your tendons cut and relaxed, so that you can hobble along for a few months before going under the knife again. I’m not trying to emphasise the efforts my parents went to as a hero worship, I just feel that I owe them a paragraph or so, because my life could have been so much worse. I might never have played Pokémon independently. I might not have done anything much independently. The line is really, really thin sometimes. I also want to be clear that I am no way criticising parents of disabled children who haven’t gone to the lengths mine did, because different styles and approaches are tailored to the needs of a person and disability, but also some parents just cannot commit to the same number of hours for various reasons. Raising a disabled child is incredibly difficult, so much so that often people just don’t. Raising any child is hard, but when certain normal modes of communication are cut off or limited, and a parent and child are each struggling to understand exactly what the other one is trying to say, and the shopping and cooking still has to be done, or the plumber’s coming, or your spouse is away for work and you’re alone dealing with two children who each need your time, or both parents are balancing work and alternating child care, or one parent is doing it all by themselves…I genuinely have no idea how on earth parents manage. I think it can be mutually rewarding raising a disabled child, but it is so very stressful and difficult at times. I also want to quickly acknowledge the compromises made by siblings, because my little brother has made many over the years all in the aid of helping me, because he cares for me. At the end of the day, above all else, disabled children, just like any child or teenager or adult, just need to know that you love them. When the world feels like it’s barricading you in, knowing that you have people who love you is an invaluable source of strength. To everyone involved in the raising of a disabled person, and to the disabled person as well, I doff my Pokéball-emblazoned cap. Back to Pokémon proper. As I was illiterate, and used to compensate by memorising everything my parents repeatedly read—noting my disapproval whenever they skipped a few lines during the day’s third reading of Troublesome Trucks—, I also know for a fact that the first book I ever read by myself was Jason R. Rich’s Pokémon Gold/Silver: The Adventure Continues. I know this, because in the midst of struggling with the cursed Ice Path, I was perplexed as to what in Johto this game guide disguised as a novel was talking about. Of course it turned out that the book was describing the Kanto region postgame, but the year beforehand, I had just picked it up because Lugia was on the cover. It would be a while before I could put any of the information garnered by Taylor and his FireFriend to use. By the time I finally came aboard the SS Anne, however, I was scoffing at how inferior FireFriend was to my almighty HQ. I had come far in reading as well: by the end of following year I was reading the entirety of The Lord of the Rings alone. Taylor’s last leg of his Pokémon journey was the first step of mine into the world of properly reading, and its importance may be the reason that, despite forgetting multiple important engagements, chemical formulae and structures over the years, I remember the name of his damn Typhlosion! Apparently it was only 112 pages in length. I thought it was The Odyssey. Another thing about Rich’s novel that has been popping up in my conscience like a Zubat in the Rock Tunnel is the final description of two-time Champion Taylor looking forward to further adventures, but at present desiring nothing more than his mother’s cooking, and a sleep in his own warm bed for the first time, in a very long time. It never really occurred to me how much one can yearn for such a simple prospect until several years of moving frequently had passed, because just being able to relax on your own bed with the knowledge that your loved ones are pottering about in the adjacent rooms is such a comforting sensation so rarely attained. With life seemingly following the general entropic trends of the universe, even momentary localised order and stability is a comfort relished. 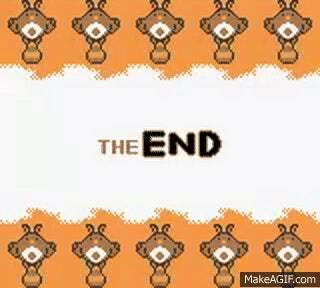 Even before I understood the truth of Rich’s final words, the Pokémon games were reflecting my own life. I used to envy Ash Ketchum as he travelled around with Misty and Brock (and Tracy, but Brock was brown-skinned and therefore felt more of compatriot to my Indian-Irish self), compared to my lone avatar traipsing up and down Johto, occasionally bumping into familiar faces before they rushed off-screen out of sight—out of life. This is, however, very much the typical life of the constant traveller. You forge connections and become accustomed to a place, before moving on to the next town or next region with only what is in your bag. That sort of pared-down living is actually fairly cathartic and is a fantastic analysis of what one finds to be essential. For me, in a year where my family and I moved from Australia and spent months in transit until finally arriving in Luanda, Angola, and then spent the better part of a year living out of a few suitcases, Pokémon became an essential, as it was literally the only entertainment I had brought with me. Of course video games aren’t essentials, and when comparing the stark contrasting lives of expatriates in gated compounds, to lives of hopeful locals trying to reassemble normality in the aftermath of protracted civil war, they become even less so. If anything, living in Angola solidified the general observation that as we become accustomed to greater levels of comfort and affluence, the parameters for establishing contentment become more minute to the point of asininity. A more nuanced discussion will have to be left for something more directly related however. Suffice to say, in the face of such an experience, I became rather fond of Pokémon’s commitment to the player carrying everything important around in a rucksack. Today, I also try to stick to that principle. This bag, however, is too small. The benefit of becoming a Pokémon trainer is that you never have to lug around massive Chemistry textbooks. Other parts of the Pokémon trainer journey are accurate as well. The people you leave behind return to their routines and go about their lives as before. If I were being particularly morose, I could extrapolate the repeated phrases and conversations you have with people in Pokémon as an emulation of the fact that when you meet up with people you haven’t talked to in a while, you spend a good while reminiscing and reliving the past as compensation for the changes you’ve each undergone in the interim until you find your flow and bridge the gap. 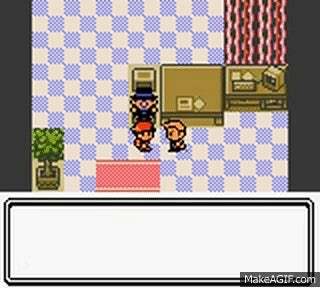 Perhaps the most poignant aspect about the first few Pokémon games is that despite saving the region and becoming Champion over and other again, the player remains anonymous, with only a few people acknowledging your accomplishments and sacrifices. In a certain regard, this is reassuring, as one can imagine suddenly being treated differently by friends and family after accomplishing a feat would be disconcerting (unless that was the aim), but I think it embodies the wider truth of the more transient lifestyle, and is, I think, a bit of sobering reality for younger people unaccustomed to moving: you are not a permanent fixture in everyone’s lives. Naturally, some people will remain close across the distances and time, but majority of people move on and are generally unaffected by your gallivanting. Furthermore, you are intrinsically the same, despite their indifference and can continue your travels. Care + extensive philosophical and scientific discussion + comedy binging = Mum. To my mind, that is an incredibly deep, philosophical message indirectly conveyed. People can become so embroiled in how each acquaintance perceives, contemplates, and regards them. Are we close? Are we friends? Do they love me? Do they think of me as much as I think of them? Our happiness is far too frequently predicated on our relationships to other people, and this sensation is heightened among schoolchildren, Pokémon’s target audience. It is sadly rather crippling. So what a stroke of brilliance from Game Freak to try to have people subtly become accustomed to reality, or at least experience it in a safe virtual world. I only wish it hadn’t taken me so many years to realise the implications. It is not as if we are left alone anyway. Our mother is always patiently waiting at home, ready to hear our tales, feed us, let us rest, or give us money. More importantly, she always affirms that she is “rooting” for us. There is always somebody, somewhere, supporting and wishing the best for us. With that knowledge, we will always be able to explore the mysterious, wide world of Pokémon, as well as our own. Happy 20th Anniversary Pokémon and may the next twenty years be as joyful for everyone. *Alright Aussies, get your minds out of the gutter. We all know she rooted for us at least once. A massive thank you to Unimplied for his original header, and to my friends at Anitay who helped edit these essays, and who just generally make virtual life amusing. Thanks also to all the commenters and readers from the initial post. Your support was incredibly touching. Finally, although they’ll never see this until I finally send them a link, I can never fully express the extent of my gratitude towards my mum, dad, and brother, which is why I have taken to writing about it relatively anonymously on the internet. All sampled images are from Pokémon.com, Bulbapedia or the Pokémon anime, and are property of Nintendo, The Pokémon Company, Game Freak, Golden Books, or their respective creators.